It behooves us to keep informed about our planet and our relationship to it. And here’s the usual fare—peak oil, overpopulation, climate change, water shortages, and food insecurity. Darned if it can’t get downright depressing! That’s why learning about a technology that seems to hold promise for mitigating many of these environmental problems is lifting my spirits in a time when hopelessness can all too easily prevail. Enter the biochar revolution! Never heard of it? Many haven’t, even though it is not actually new. This 2500-year- old technique originated in the Amazon basin, where native people used charcoal to improve the fertility of soils in a region in present-day Brazil known for its highly infertile soils. The region, known as Terra Preta, remains highly fertile today, even with little or no application of fertilizers since those ancient times. 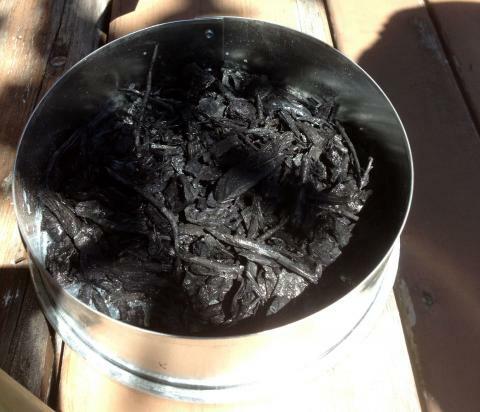 Biochar is a solid material obtained from the thermo chemical conversion of biomass—typically agricultural waste--in an oxygen-limited environment. The fine-grained, highly porous charcoal can be used as a soil amendment, and the gas that’s created in the conversion process can be used to produce renewable clean energy. Recent studies show that biochar, with its high surface area and porosity, can increase agricultural yields while providing a welcome home for microbes and reducing the need for fertilizers and irrigation. As a not-insignificant bonus, the biochar sequesters carbon and stores it in soil forever, thus helping to reduce the carbon in the atmosphere that contributes to climate change. This past July, our own Sonoma Biochar Initiative, with the help of the US Biochar Initiative, hosted the 2012 US Biochar Conference at Sonoma State University. Although this is the first time the conference has been held in California, it has been going since 2009. Still in its infancy, the conference enjoyed record attendance this year, showing that interest in biochar is definitely growing. Attendees ranged from “dirt dork” soil, climate and earth scientists from around the globe, including a large contingent of researchers from China, to public policy makers interested in setting and meeting climate protection mandates, to elected officials, agricultural and vineyard managers, and even home gardeners like me. withered. Biochar captures and retains water in its many pores when the rains come, and releases it slowly to plants during dry spells. I came away from the 3-day conference sufficiently inspired to purchase my own biochar, costing $15.00 for a 1.25 cubic-foot bag, from Sonoma Compost. 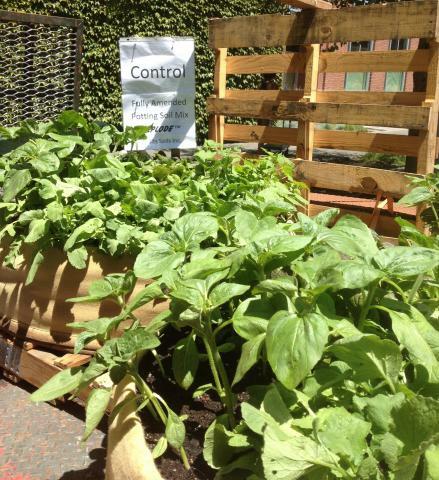 From what I learned at the conference, I plan to mix it with my own backyard compost and the worm castings from my little worm farm, at concentrations of 5% to 20 % and apply it to my raised garden beds in a field trial of my own, including a control bed containing no biochar. Word is I should be able to tell a difference in my tomato plants and other veggies in a single growing season. So stay tuned, take heart, inform yourself, and by all means, do try this at home! You can learn more about SBI activities by visiting www.sonomabiocharinitiative.org. More information on USBI can be found at www.biochar-us.org. For a dose of inspiration, check out Biochar Bob on YouTube: http://www.youtube.com/watch?v=ugAurkFgQhs.